Are Ayahuasca and San Pedro Ceremonies and Retreats Legal? You might have some questions about Ayahuasca and San Pedro legalities, and we present you with that information here. Here in Ecuador, Ayahuasca and San Pedro are privileges given to those who are practicing shamanic traditions, as the government is not going to take away the ancient spirituality that the Ecuadorian indigenous shamans have been using for thousands of years. It isn’t the free-for-all like it is in some other countries where just anyone can call themselves a shaman. Ecuador regulates shamans by giving permission only to those who have proven that they have received the proper training, have been approved by the right shamanic organizations and have shown they practice their trade with integrity and respect to participants. It Took a Year To Get Our Center Legal As An Ayahuasca Healing Center! Our center, Gaia Sagrada, had to spend a year seeking permission to offer this to you! It is no small matter! 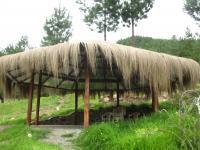 Ecuador makes sure that shamans and Ayahuasca healing centers are real, and that proper facilities are in place. This makes it better for you! We had to do a mountain of paperwork, meet with various government agencies multiple times, pay large sums of money, use lawyers, and jump through a LOT of hoops in order to offer this to you. Opening an Ayahuasca healing center in Ecuador legally is no easy task. We are dedicated to bringing you a quality experience in a safe environment with shamans who are truly masters of their trade. The government of Ecuador preserves the indigenous shamanic rights to their traditions and heritage. Ayahuasca and San Pedro are not legal for recreational use, but they are permitted for spiritual ceremonial and shamanic use in Ecuador. Shamanism and shamanic healing are part of Ecuador’s traditions. Through regulation, the pure experience is preserved and the shamans practicing are truly masters of their trade. As for Ayahuasca healing centers in Ecuador, the reason there are so few of them legally operating is because the road to being legally permitted by Ecuador’s government to offer these sessions is long, expensive, and difficult. Ayahuasca and San Pedro are not legal in the USA for anyone, with two exceptions that were won in very expensive court cases. Upon research on the internet, neither of these two exceptions are holding Ayahuasca or San Pedro ceremonies in the USA, or anywhere else, for reasons we can only guess at. Any Ayahuasca retreat ceremony being held in the USA is highly illegal. Use caution if you come across an Ayahuasca ceremony happening in the USA and make sure you trust that they will not get “busted.” It does happen. DMT, the active ingredient in the Ayahuasca, is still classified as a Class I federally controlled substance. How anyone has the right to criminalize a plant growing out of the ground is beyond us, but there you have it. If you have plenty of money, you might be able to defend your rights to an Ayahuasca or San Pedro ceremony if you have established a church organization around it, such as the Native American Church around peyote, but if not you will find yourself in way over your head with the legalities you will have to contend with. That’s why you have to come to places like Ecuador to experience it, and connect with the indigenous shamans who practice it. Keep me in the metaphysiscal loop with your news and offers!